It’s Friday – and this week has seemed less long and arduous than last week – thank goodness! Granted; I’ve never been one to see a Friday arrive and this weekend is no exception – I’ve got all kinds of goodness on the agenda this weekend! Shall we begin? One. Star Wars Episode VIII – Yep, you’re reading that right. 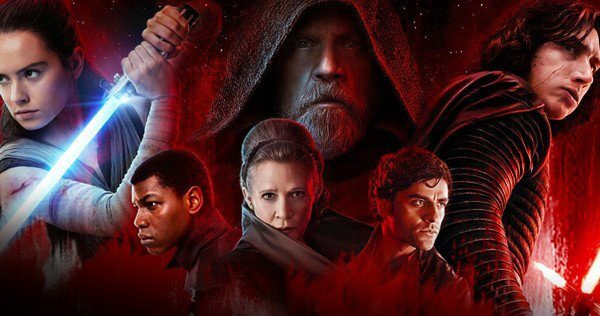 I’m one of those people that has tickets to see the newest entry in the Star Wars saga on opening night – and I cannot wait! I’m headed to see the movie with my tried and true movie viewing partner Jennie and we are watching at The Alamo! The Alamo puts on a great movie experience and so I’m sure there will be delicious Star Wars themed food and drink to indulge in! Any thoughts and ideas (NOT spoilers) about what the movie will reveal? I just really want to know who Rey’s parents are! Two. Ryan Zimmerman – I met a Washington Nationals player…not just any Nationals player, THE Nationals player. Ryan Zimmerman, the face of the franchise! Let me back up though – Tuesday night, Ryan Zimmerman was at Clearbrook Park for a meet and greet to support his charity, the ZiMS foundation and since Clearbrook Park is literally fifteen minutes from my office – of course I went! It was absolutely frigid outside on Tuesday night – I think it was about 25 outside and with the wind chill it felt like 15 – happily they had the meet and greet inside a tent, so no one froze! It was snowing as we walked over to the tent but happily once inside, it was warmer and the line was not too bad. After waiting just about twenty-five minutes, we were up and I was able to tell Ryan that his 2017 season was so much fun to watch. He was so nice and I got to check off an item on my bucket list – I’ve met a player from my favorite team! Hopefully he will be the first of many! Three. Perfectly Posh Splurge – Every month Perfectly Posh offers a limited time item called the “Splurge” and this month’s…well it looks absolutely divine! It’s a whipped body butter and it’s Marshmallow and Macadamia Nut! Of course; as with everything that Perfectly Posh makes, it’s all natural, cruelty free and under $25! In fact – this awesome body butter is only $19! In addition to the yummy body butter (available while supplies last) – Perfectly Posh has all kinds of deals for the holidays! Today and tomorrow, Posh is offering free shipping on orders of $75.00 or more…and if you purchase a Posh to Meet You Bundle (a hand cream, a chunk soap and a lip balm for $22.00) you receive a Skin Stick of your choice for free! Four. Weekend Plans – My weekend plans have changed a bit since I started writing this post; but that’s all well and good! I’m going to see Star Wars: The Last Jedi tonight with some friends and I cannot wait! My Saturday plans have unfortunately been altered a little bit by a sick pup – it seems my dog has come down with kennel cough – and so I’ll be taking the little fellow to the vet on Saturday morning and getting him some relief in the form of antibiotics. Saturday night my family and I are going out to dinner with some friends that we’ve known for literally my entire life and then I might learn to play canasta – that’s a card game – did you know this? We’ll see… Sunday afternoon we will be doing Christmas with some family friends and at some point this weekend I plan to get in some exercise (can’t let the holidays get to my waistline…) and hopefully finish the last two episodes of the second season of The Crown! Whoosh! 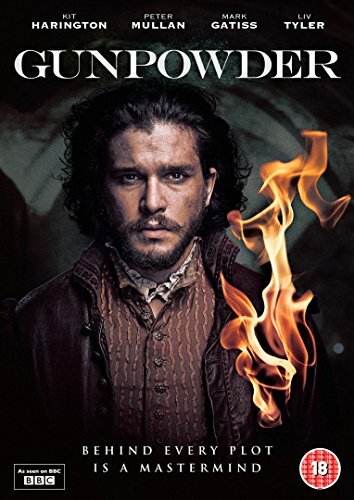 What I did not know is that there was a mastermind behind the gunpowder plot named Robert Catesby – Guy Fawkes just provided the ammo and a bad attitude, ha-ha! The miniseries that was first shown on BBC is premiering on HBO and will show on Monday, Tuesday and Wednesday nights. I’m not sure I’ll catch it all as it airs – but I am looking forward to checking it out! So – that’s my five for this Friday! What about everyone – looking forward to anything this weekend? It’s the last weekend before the weekend before Christmas…I can’t believe how quickly December is flying by! Happy weekend everyone – and enjoy!